SO STOKED that I got to catch the DREAMY Day Wave for their first ever headline show at The Rickshaw Stop last week as part of SF’s NoisePop festival. 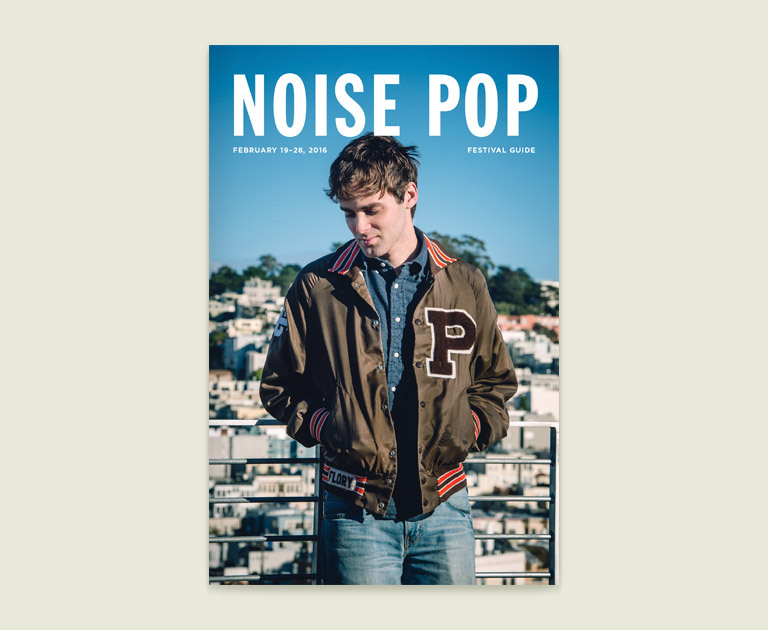 It was no secret that Day Wave was to be playing NoisePop this year, for the musical mind behind Day Wave – Jackson Philips– was actually featured on the cover of this year’s NoisePop magazine. In fact, it was my friend -the incredibly talented and very much in-demand music photographer, Paige Parsons– that took the awesome photo. Initially trained as a jazz drummer at the prestigious Berklee College of Music (Boston, MA) from the age of nine, Phillips eventually found himself trapped in a Whiplash (yes, the movie) kind of world where people were “very competitive” and “not very nice to each other.” During college especially, he realized that he was more interested in making songs than in perfecting his drumming technique, and this epiphany inspired him to learn piano and song production. By the end of junior year, he was already creating his own synth-based songs and releasing these through his first band, Carousel. Only 26 years old, Philips has a COLOSSAL career ahead of him, and I wouldn’t be surprised if he wins “best breakout band” (or something along those lines) at this year’s The Great Escape Festival​ in Brighton, UK (just outside of London). I went to this festival both years that I lived in London, for it reminds me of Europe’s mini SXSW and is a SERIOUS stomping ground of international music talent (3 days = 400+ bands/artists from 30 different countries). I’m still shocked by all of the budding bands I was lucky enough to see there before they BLEW UP (including two recent Brit award winners, Catfish and the Bottlemen​, Jack Garratt​, James Bay​ and a Australian Recording Industry Association winner, Courtney Barnett). I’ve already given a heads up to my music pals in the UK to make sure they check out Day Wave– they are a MUST SEE! Although Dave Wave hadn’t sold out their show at the Rickshaw (would have been pretty impressive for their first headliner), they were surely greeted by a roomful of dedicated fans hailing from Oakland and the surrounding Bay Area. The guy standing next to me was just one of many, and he kept raving on about how Day Wave’s Headcase EP was his favorite album right now. “What am I good for? Cause I don’t know anymore.” SO GOOD. Next up was Total Zombie, the track that I must admit to having the strongest connection with the first time I heard it. Like a “total zombie,” I fell numb to this dreamy ditty and was instantly lured into joining the catchy chorus: “So just close your eyes and I’ll close mine.. Let me close your heart, it just takes time… And we’ll be alright, we’ll be alright.” Apparently, this song was recorded all instrumental before the lyrics came. Whatever the process… it worked well! It’s no surprise that Philips saved Headcase for last, as he once noted in an interview that this track was his “favorite of the bunch” and his “favorite to play live.” He described it as “summing up the whole theme of EP” (hence the title track). Cheers to the ‘headcase’ in all of us: “Cause I don’t feel right anymore… so bury me alive… this time.” EPIC ENCORE. This entry was posted in Uncategorized and tagged beach boys, berklee college of music, blond redhead, brian wilson, carousel, day wave, drag, dreamy ditty, headcase, jackson philips, joy division, lo-fi, new order, noisepop, nothing at all, oakland artist, paige parsons, rickshaw stop, rogue wave, surf rock, the great escape, total zombie, trevor powers, whiplash, Youth Lagoon.